ENTER TO WIN 2 TICKETS! With J.J. Hudson as Stage Director and Jay Dean conducting, the show will feature a large ensemble including the Mississippi Opera Chorus, the Mississippi Opera Orchestra, students from the St. Andrews Episcopal School Choral program, and young artists from the University of Mobile’s Opera and Musical Theatre program. La Bohème features the Carnegie Hall soprano soloist, Ashley Bell as Mimi; Michael Boley’s “vibrant, dramatically alert performance” as Rodolfo; and Michelle Lange, two time winner of the Voices of Mississippi Competition, as Musetta; Travis Sherwood as Marcello; Andre Chiang as Schaunard; and Stefanos Koroneos as Colline. This project is supported in part by funding from the MS Arts Commission, a state agency, and in part from the National Endowment for the Arts, a federal agency. Join us all year long for magical musical experiences! Our “Cabaret Series” where we celebrate all forms of musical theatre, Broadway and opera leads up to our Season Grand Finale. The Cabaret Series is held on Monday nights at Duling Hall, in the historic Fondren neighborhood of Jackson. The casual club like atmosphere of the shows helps you start your week with a song. In addition, there are special gala events kick off each season. The Guild expands the Opera Circle. Operas can’t provide the cultural experience they provide without support. The Guild fills a variety of functions from hosting the annual fall fundraiser event, greeting and distributing programs as performances, and hosting guest and visiting performers in their homes. 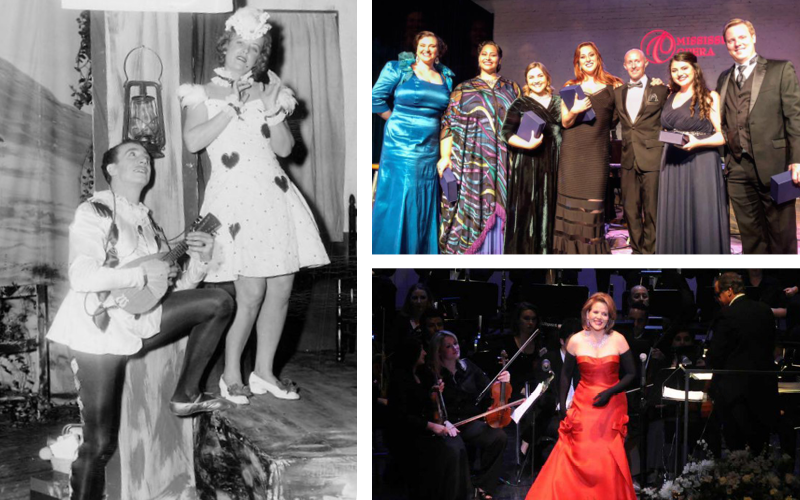 This year, the guild celebrated the inaugural MS Opera Circle Award of Excellence, awarded to an individual in the community for their outstanding support for the creative and community arts. Our first recipient is Jackson community leader and restaurateur, Jeff Good. From the Opera Guild’s annual fundraiser event, to pop-up concerts at the market and children’s performances, you can find the MS Opera everywhere. Bringing the performing and musical arts to a wider audience in the state through education and community outreach programs is a closely held mission of the MS Opera. From our surprise pop-up “Opera-to-go” performances, to children’s shows and summer camps, you never know where you just run across the MS Opera. For example, each dress rehearsal of major productions are open to students from area school groups at no cost! For professors and music students in colleges and universities that are seeking to achieve professional goals, the Mississippi Opera hosts the annual National John Alexander Vocal Completion, the only nationally advertised music competition in the state. Held every fall for the past five years, the competition is named in memory of internationally known tenor John Alexander, who was born in Meridian, MS, and highlights upcoming vocal talent. Our programs and performances are supported by our amazing Mississippi Opera Chorus. Auditions are held in the fall of each year. Visit our website at https://www.msopera.org/chorus-auditions. A founding member of the National Opera America organization, Mississippi Opera Association is the ninth oldest continuously operating opera company in the United States, and Mississippi’s only professional opera company. Founded in 1945 as the Jackson Opera Guild, with their first production of “Cavalleria Rusticana” at the Bailey Jr. High Auditorium, the Mississippi Opera has enriched the state with world-class performances and exposing everyday Mississippians to arts and culture they wouldn’t have access to otherwise. Why Support the MS Opera? The Mississippi Opera can have a profound effect on the Mississippi economy. Figures from the Jackson Convention and Visitor’s Bureau show the Opera folds back into the Mississippi economy about $750,000. The arts in Mississippi is a huge economic structure in the state, and corporations recognize it. 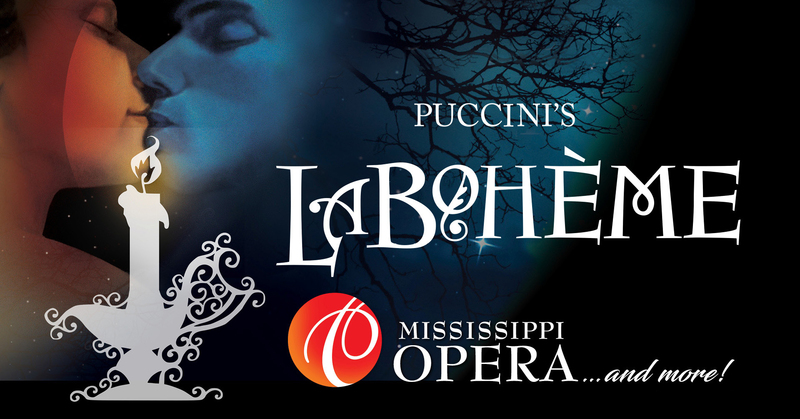 For more information or to purchase tickets, please visit msopera.org or call 601-960-2300.